Mexico: Is it safe to travel? A delectably rich concoction of fascinating history, a culture that has captivated the world for a millennia, and a cuisine that’s among the most exported in the world. Mexico needs very little introduction. Yet along with its most enticing aspects – its Mayan temples, mouth-watering tacos, and impossibly small Chihuahuas – Mexico’s other, less-reputable side has never strayed too far from the headlines. Travel safety in Mexico is a big deal, we get that, just like we get the innumerable ‘But just how safe is Mexico, anyway?’ questions we field quite regularly. Let us first state that Mexico’s safety issues are indeed much more pivotal if you’ve never actually visited before. Head to this Central American dynamite nation for the first time, and you’ll no doubt be hit by a sudden wave of sensory overload. 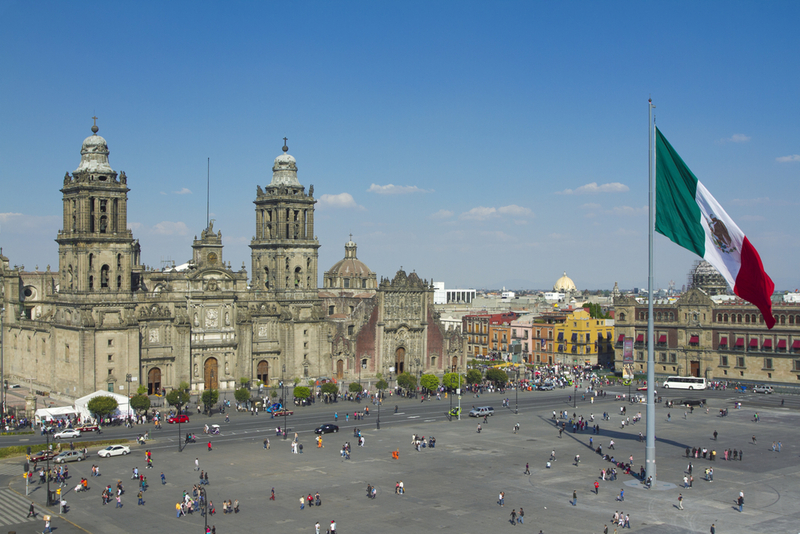 Most of that has to do with the fact that you will probably have landed in Mexico City, one of the most vibrant yet crazy busy capitals in the world. It’s easy to get overwhelmed. But let’s get back to some basics and understand a little about this captivating country. Much like a few of its neighbouring countries, Mexico’s main criminal problems stem from the altercations between the local police force and criminal drug cartels. On one hand this is indeed a problem, and cause of much concern among locals. Not the other side of the coin clearly shows that this problem has absolutely nothing to do with foreign tourists. Only recently did the US Foreign Ministry update its travel warning to include areas which should be avoided, but reiterate the fact that millions of tourists visit Mexico every year without encountering any safety issue. And that’s only American tourists. Add to that a healthy amount from all other 193 countries on the planet, and one gets a much more realistic picture of the safety issue in Mexico. 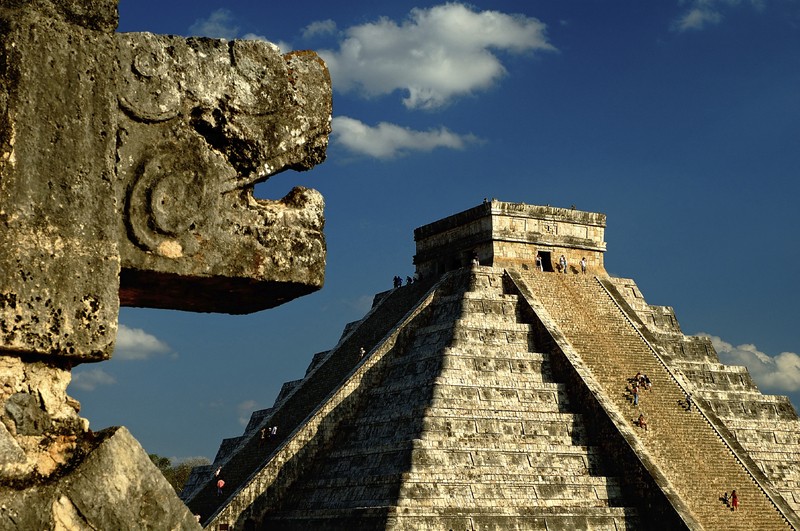 You may not want to permanently emigrate to some of the country’s renowned trouble-spots…but that doesn’t mean you can’t enjoy an exhilarating and unforgettable tour of Mexico for a few days or weeks! Out of 31 provinces, only 8 are deemed out of bounds for foreign tourists, and 12 rate as ‘mildly sketchy’. The rest? They’re routinely given the all-clear. Troubled regions stem from a variety of issues in Mexico, including not only drug warfare but also corruption and poverty. This is such a complex country, in fact, that placing it all under one amalgamous safety banner is not only impossible but also immensely unfair. 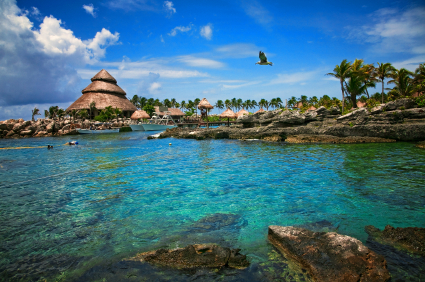 An extensive and glorious nation, Mexico offers a wealth of amazing attractions. With a few precautions and much common sense, you’ll find this is a perfectly safe country to visit. Unless you’re planning an overnight hike across the US-Mexico border, with a stash of drugs in your backpack, we’ll confidently say that you’ll have no safety issues with which to deal on your next trip to Mexico. K.I.S.S – Keep it simple, sailor! When planning a trip to Mexico, your safety precautions should begin at home. When packing for your tour, lay out everything you plan to take. Then, take out all the absolute non-essential valuables. The safest place for your favourite jewels to be stored is in your bedroom at home, and not in a backpack in Mexico. Make copies of all your essential documents and email them to yourself, and a friend. Watch your stuff – The biggest ‘danger’ you’ll face in Mexico will be petty theft, much like in the rest of the world. Not walking around with a colossal backpack full of goodies like cash, passports, credit cards and a big SLR camera is a good idea. Use money belts and hidden pockets to stash your daily spending money and keep the rest of your travel valuables safely stored in your hotel’s safe. Mum’s the word – Not everyone in the café, sidewalk or outside the temple needs to know exactly where you are staying or where your travel group is heading to next, and at what time. For security reasons, sharing is not always caring. Keep details to yourself. Leave the sneakers at home – One of the biggest safety tips for Mexico is to leave the sports shoes at home. This is the single biggest tourist neon-sign abroad! Not much point in wearing a sombrero and a poncho, when you’re donning shining white sneakers on your feet. DO.NOT.WEAR.SOMBREROS.AND.A.PONCHO. – We were just kidding, by the way. Blending in whichever country you’re visiting is always an excellent idea, and does much in terms of keeping you safe, but looking like something out of a John Wayne western, when visiting Mexico? Not so much. 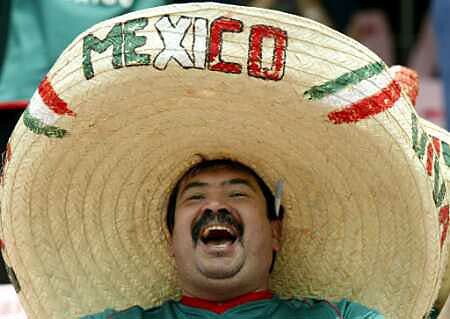 The French don’t wear berets much like Mexicans don’t wear sombreros. Feel free to buy one as a souvenir, of course, but do wait until you’re at least on the plane home before proudly showing it off. Take only authorized taxis in Mexico City – An exuberant city brimming with fantastic street art and amazing restaurants and shops, Mexico City is a pleasure to explore at length, and even on your lonesome. Our only word of warning here is to avoid hailing taxis from the street. Ask your hotel to order you an authorized taxi into town, and when you’re ready to come back, simply walk into the first fancy hotel you see and ask them to order another for your return trip. Even if you’re not staying there, luxury hotels thrive on their superlative service, and we’ve never experienced anyone being turned down for this lovely service. If you’re not yet completely convinced, then we urge you to take a sneaky peek at this dedicated How Safe is Mexico website, whose only aim is to put the country’s crime stats into perspective. So convincing are the arguments, that after reading it you’ll likely cancel your US-travel plans and book a fantastic tour of Mexico instead. Want more? You’ve got it! Take a look at our tours of Mexico page and feel free to scroll down to our guest reviews. Not only will you read a plethora of glowing reports on Mexico’s highlights, people, and food, but you can also get an appetizing entrée into what it is that makes this country so incredibly rewarding.